It comes as no surprise that the holiday season rakes in big bucks for retailers, but did you know that restaurants also see a healthy bump in the last few months of the year? From holiday parties to day long shopping trips to New Year’s Eve toasts, Americans are visiting restaurants more frequently. While the major uptick in sales is a good thing, it also means increased likelihood for fraud. With the highest number of fraudulent transactions occurring during the holiday season, it is vital to ensure your restaurant is protected with EMV technology. If your restaurant cannot process chip card payments, your customers will be vulnerable to fraud and you could be held responsible. The EMV fraud liability shift was implemented by major U.S. payment card networks last fall, in order to combat counterfeit fraud. EMV stands for Europay, MasterCard, and Visa after the three companies who initially worked on the technology. EMV cards have chips that are “dipped” into readers on terminals rather than swiped. The chips utilize end-to-end encryption and unique codes to process each and every transaction. This means that it is virtually impossible for that information to be stolen and reused for future fraudulent transactions. PCI compliance, Encryption at the POS, and Tokenization protect data from hackers and data breaches. 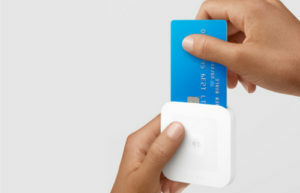 Simply put transactions are way more secure because an EMV credit card chip is actually a super-small computer that’s extremely hard to counterfeit. Every card is validated for legitimacy to reduce liability and risk for charge-backs. If your resultant is not equipped with EMV ready POS system, you will be financially liable for fraudulent charges. Advanced and secure payment methods will show your customers that you care. What better way to show true hospitality than by employing technology that will always keep the best interest of your restaurant patrons in mind? 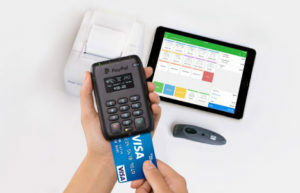 The quickest and easiest way to get your restaurant EMV complaint is to upgrade to an EMV-ready tablet POS system. 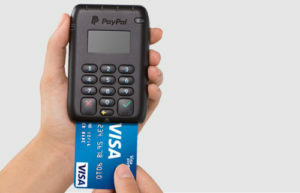 EMV powerhouses PayPal and Square can integrate with multiple POS Software companies like VEND and TouchBistro. And you can get started for as little as $49. If you are ready to get EMV compliant but not sure where to begin, we can help! Don’t miss out on your chance to start 2017 Fraud Free. Reach out to a tablet expert for a free EMV hardware consultation today! (888) 299-7574 or drop us a line, and we can talk more about how POS Portal can help your business.